Summertime is near. So that means long, hot days and lots of sun exposure!! It’s important to keep our skin protected and balanced however. Don’t forget to reset after the sun with these fabulous beauty buys to keep your skin looking youthful and bright! Vitamin C Serum by LilyAna Naturals…vitamin c will keep your skin radiant. It helps reduce wrinkles and evens tone. This will remove scarring too! I swear by this stuff now. Your skin will be glowing and any sign of recent breakouts will be gone. I love how soft my skin feels too. I actually stopped wearing foundation again after finding this stuff! It helps maintain a youthful looking complexion like no other. And combats the sun exposure! Rosehip & Hibiscus Eye Cream by LilyAna Naturals…ok y’all..I had some mad dark under eye circles for awhile! No sleep, in my new mommy years, did a number on my skin. Eye creams were very new to me. This one is so delicate & refreshing. This is also another reason I do not need so much highlighter & foundation!! Freeman Beauty Infusion Revitalizing Peel Off Mask- Pomegranate + Peptides…this is another amazing face mask that cost next to nothing for its work. I use this once a week for a quick way to clean out the pores and keep my skin firm! My skin feels so clean when it’s done. St Ives Timeless Skin Collagen Elastin Moisturizer…I have sung its praises many times! I love this face lotion. This smell alone is glorious. Simply one of the best…this lotion goes a long, long way and at only $5 a tub, who wouldn’t want some?!! You need to make sure to add Collagen to your facial routine and this is a great step. Keep your skin moisturizer on hand all Summer! Retinol Cream by Niara Beauty…we found this so cheap on Amazon and I had to instantly buy a few more bottles! I have even gotten compliments on my skin this summer ever since I have added this to my skincare regime. Its divine!! Retinol does wonders to reduce appearance of aging and discoloration. Highly recommend using. This is by far my favorite beauty product. 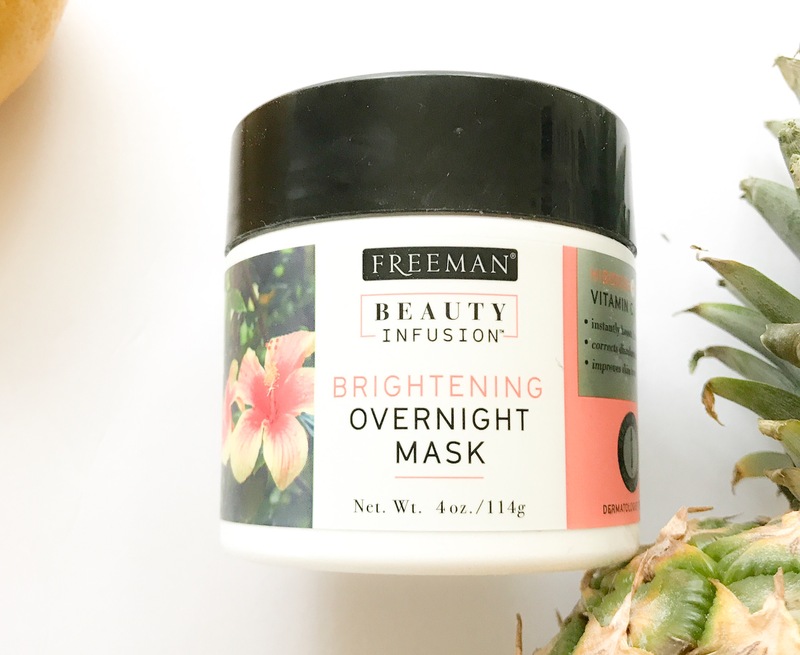 Freeman Brightening Overnight Mask – Hibicus + Vitamin C… another summer staple! This will instantly brighten your skin. I use this a few times a week. Feeling tight after a little too much sun? This has your back. You will be basking in your own glow come Morning time. Another simple money saver here too! You can find this in Ulta or even Target etc.. I honestly use all these products. My skin has never looked better either. Combining a few of these will help keep your skin protected from all the sun you’ll be getting! So make sure you don’t forget a little sunscreen and think about your skin down the road!! Enjoy all this wonderful weather babes!! Next postThe 5 Best Beauty Buys For Your Bombshell Summer! You’ll love it. I never go without these! I’ll have to try these!! I loved this post and I love the name of your blog! Super creative content and I look forward to future posts. Come visit if you get a chance!